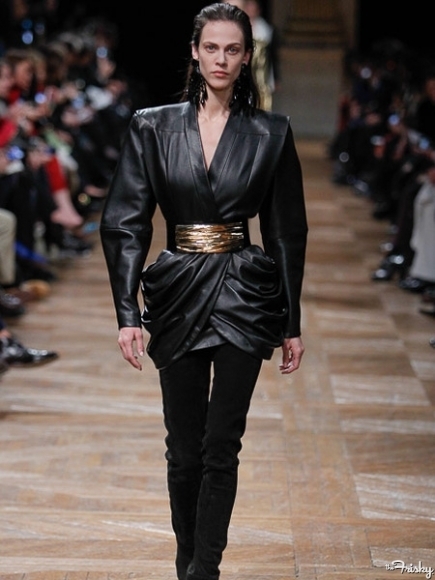 ← H&M’s new baby… & Other Stories..
Balmain is one of those brands that bubbles a little under the radar but every now and again, a celebrity pops up wearing something truly beautiful and were reminded just how wonderful this brand is! I am of course talking about Kate Bosworth rocking up to the Met Gala 2013 sporting their Pink embellished ‘Top’ from their Fall 2013 collection. Superbly teamed with a gold belt and simple Salvatore Ferragamo black stilettos, the stunning Top/Dress did all the talking. 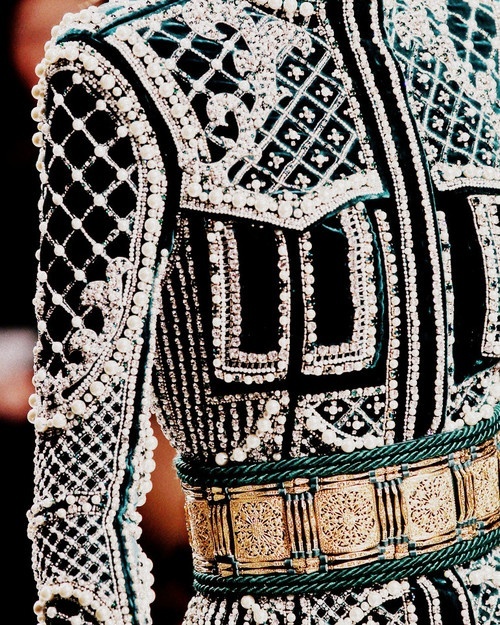 And this is the case with most of Balmain’s collections. Looking back over the years, their collections boast Big shoulders, awesome embellishment and just outright Shouty colours and fabrics! They just know exactly how to make an outfit stand out. Although this design house is french their 2013 collections have been quite asian inspired, with wrap over jackets and embellished tunics. The great thing about it is you need little accessorising with these power players. Minimal jewellery and a soft hued heel is all that is required to look truly beautiful. Zoe Saldana is clearly a big fan of Olivier Rousteing’s work as she has been seen at countless red carpet events wearing his designs and working them fabulously. However, they aren’t all about the ‘in your face’ bold and bright… they know a thing or two about tailoring and masculine edge. Here’s a few outfits I’ve come across over the years that have always stuck with me. If your a big fan of embellished dresses and daring prints you should look up Scottish Designer Hayley Scanlan. Her designs focus on Swarovski studded prints and accessories that make a lasting impression.